Get hands-on video editing experience using Adobe Premiere! 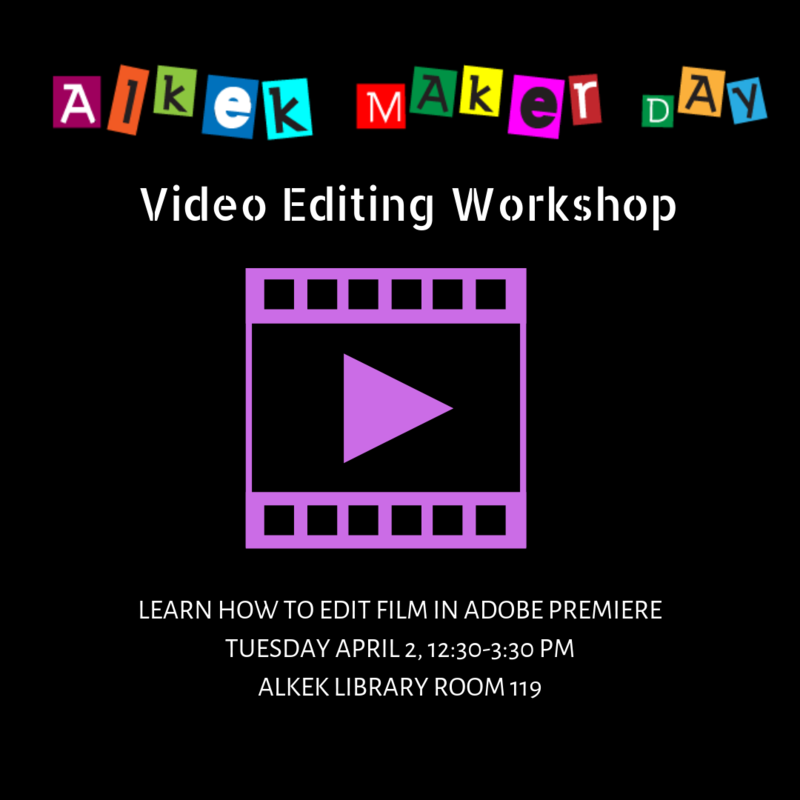 You're encouraged to bring your inspiration and creativity to this video editing workshop. * NEW TIME * The workshop is now Tuesday April 2nd, 12:30 - 3:30 PM in room 119.